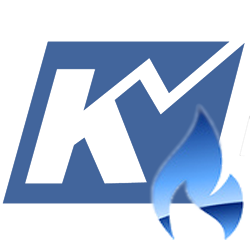 Natural Gas Short-Term Forecast – August 8, 2018 - Kase and Company, Inc.
Natural gas has adopted a much more positive near-term bias during the last week and is pushing toward key thresholds that could open the way for a longer-term bullish outlook. Today’s settle above $2.94, the upper end of the tolerance range around this week’s $2.91 target, calls for a test of $3.00. There is immediate resistance at $2.96 but $3.00 is now the next major objective. A close above this would be long-term bullish, calling for $3.10 and higher. That said, the move up is becoming somewhat extended and a pullback to test support should take place before prices overcome $3.00. Such a move would likely be corrective and should hold $2.88 support. Key support for the near-term is $2.85, an important retracement of the move up from $2.671 and $2.74, which is also in line with the 50-day moving average. Settling below this would be a likely reflection of a negative shift in underlying fundamentals. For now, though, while $2.85 holds any move down will present a short-term buying opportunity that could become a longer-term uptrend upon a close over $3.00.